Keeping your employees safe is a top priority for your business. Safety month may be coming to an end, but, if you have cameras around your plant, every month can be safety month. Cameras give you the ability to see your entire plant at any given point in time – from reviewing what is happening live, to what happened last night during 3rd shift, to what reviewing an injury incident several months ago. You are only limited by the coverage of your cameras and your storage limits – both of which we can help you with. 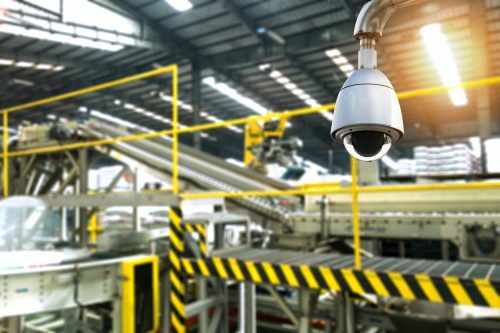 Learn more about how cameras can help increase safety at your plant. Where the health of your employees and your company are at risk, there can be no shortcuts. After you’ve spent weeks or even months crafting and building a culture of safety in the workplace, don’t let everyday lapses undermine the safety of your employees. Security cameras can help you catch these slips before they cause an injury and serve as a reminder to your employees that safety is a top priority in your plant. The video obtained from the cameras can help you determine areas where additional precautions are needed or specific employees who need additional safety training. Ensuring workplace safety compliance not only helps you meet OSHA and other regulatory standards, but also helps you minimize injuries to employees that can result in time off for your employee and lost production for your company. Payments to injured workers via workers’ compensation annually tops $60 billion, and about 10% of those costs are paid on fraudulent claims. Don’t let bogus workers’ compensation claims drive up your premium costs. Fraudulent cases have led state’s workers’ compensation bureaus to exercise greater scrutiny on employee claims of workplace injury. 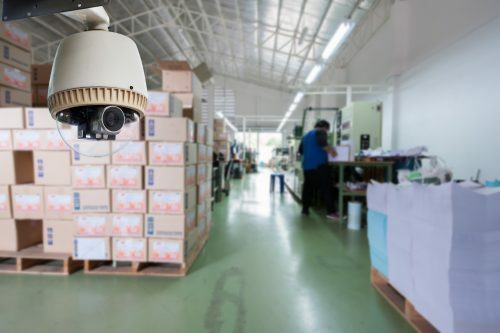 Security cameras can help your employee demonstrate the cause of the incident, protecting your workers’ right to compensation. Conversely, these same cameras can also limit your liability and exposure to fraud when an injury was caused due to employee carelessness or disregard for basic safety procedures. Take steps to make your employees aware of this added feature in your plant when they are on-boarded or upon installation of the cameras. Specifically, be sure that you inform employees that they will be monitored via security cameras and add a video surveillance acknowledgement form to your employee handbook. Security cameras are an excellent tool in your workplace safety toolbox. Using the most current video compression standards, CameraSecurityNow.com can provide long-term storage for all of your workplace security video for reference, training, and compliance purposes. We offer motion detecting, infrared, fisheye 360º, and Pan-Tilt-Zoom cameras and cameras with audio recording abilities. Our expert technicians will install all of your equipment and can answer any questions your IT department may have. Additionally, there is no monthly fee for cameras. Once you buy the equipment, it is yours to keep and you have access to view your video remotely with no additional monthly fees. Get a quote for all of your plant security camera needs.